Tamy Glauser, one of today’s most popular androgynous models, poses for W Magazine’s February issue. A striking editorial shot by Catherine Servel. Talented British actress Natalie Dormer looks simply amazing in Fashion Magazine’s latest issue. Captured by James Macari. Swedish beauty Hedvig Palm is captured by Nagi Sakai for the editorial »Motel Primavera«. A wonderful fashion story featured now in Harper’s Bazaar Spain’s February issue. Marland Backus and Milo Kester star in Leon Mark’s latest work, an edgy but magical fashion editorial shot for the January issue of Numéro Paris. Styled by Samuel Francois. Captured in Ibiza’s beautiful sunlight, Dirk Bader shoots the lovely Neelam Gill for Harper’s Bazaar. 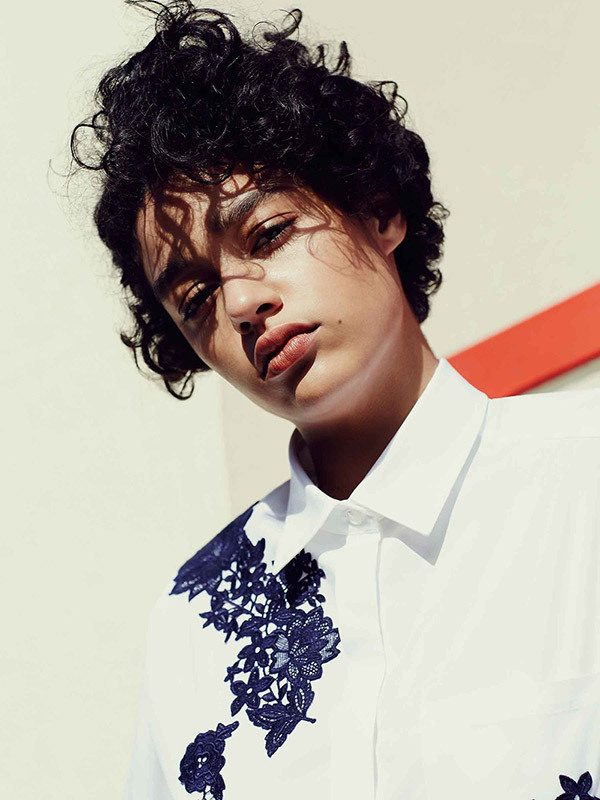 Mel Bles shoots the incredibly beautiful Damaris Goddrie for the Sportmax Code Spring/Summer campaign. Sascha Oda beautifully captures Anabel Krasnotsvetova and Maria Zakrzewska for the upcoming Marie Claire France issue.